1994 - Master of Science (DEA) in Mechanics and Thermodynamics from Institut National Polytechnique de Lorraine. 1997 - PhD (Doctorat) in Mechanics and Thermodynamics from Institut National Polytechnique de Lorraine (France), obtained with the highest grade. 2007 - �Habilitation � Diriger les Recherches� (HDR) from Clermont-Ferrand University, France (French degree necessary to supervise PhD students and apply to a professor chair). 1998 � Assistant Professor at Savoie University, Annecy (France). 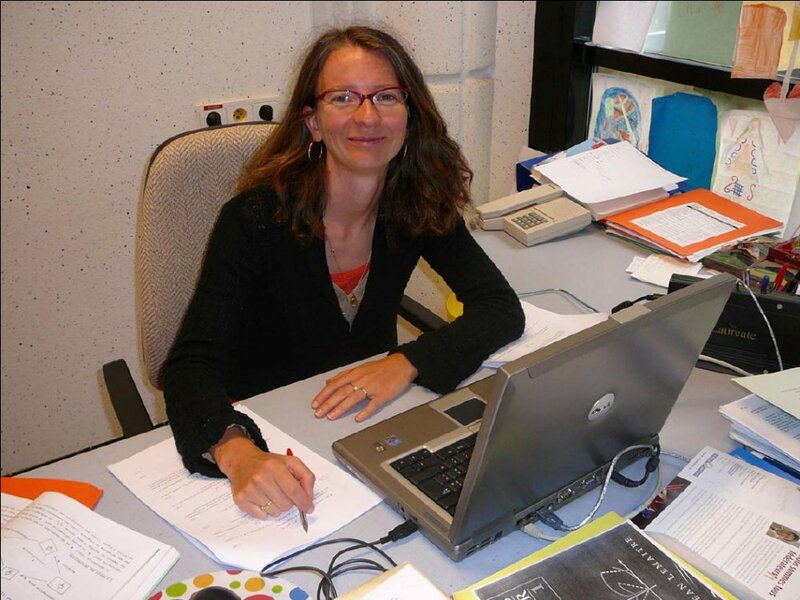 1999 - Assistant Professor at Blaise Pascal University, Clermont-Ferrand (France). Member of the organising committee of national and international conferences. Faccio-Toussaint E., Ayadi Z.,Pilvin P., Cunat C.
Modelling of the mechanical behaviour of a nickel alloy by using a time-dependent thermodynamic approach to relaxations of continuous media. Mechanics of time Dependent Materials, vol. 5, pp. 1-25, 2001.
International Journal of Solids and Structures, vol. 39, n� 10, pp. 2691-2705, 2002. Cited 29 times (Scopus). International Journal of Solids and Structures, vol. 39, n� 10, pp. 2707-2730, 2002. Cited 25 times (Scopus). International Journal of Solids and Structures, vol. 40, n� 10, pp. 2401-2419, 2003. Cited 12 times (Scopus). Toussaint E., Destrebecq J.F., Grediac M.
International Journal of Mechanical Sciences, vol. 48, n� 3, pp. 256-264, 2006. Cited 6 times (Scopus). Alzina A., Toussaint E., B�akou A., Scozen B.
Multiscale modelling of thermal conductivity in composite materials for cryogenic structures. Composite Structures, vol 74, n� 2, pp. 175-185, 2006. Archives of Civil Engineering, vol. 52, n� 2, 2006. Strain: an International Journal for Experimental Mechanics, vol. 42, pp. 233-253, 2006. Cited 1 times (Scopus). Muller M., Toussaint E.,Destrebecq J.F., Gr�diac M.
Composites Part B, vol. 38, n� 4, pp. 417-428, 2007. Alzina A., Toussaint E., B�akou A.
Multiscale modeling of the thermoelastic behavior of braided fabric composites for cryogenic structures. International Journal of Solids and Structures, 2007, Available online. Syed-Muhammad K., Toussaint E., Gr�diac M., Avril S. Kim J.H.